Here you will find information about a variety of injuries we see in the clinic and education about which exercises are useful for you to overcome your specific injury. And its free. Heel Pain....Do you have Plantar Fasciitis? The plantar fascia is a tough fascial tissue that runs under your foot and has several functions in the foot during walking and running such as load distribution and maintaining stability. Exercise is one of the primary forms of treatment along with hands on physiotherapy for lengthen the plantar fascia and maintain normal movement on the feet. 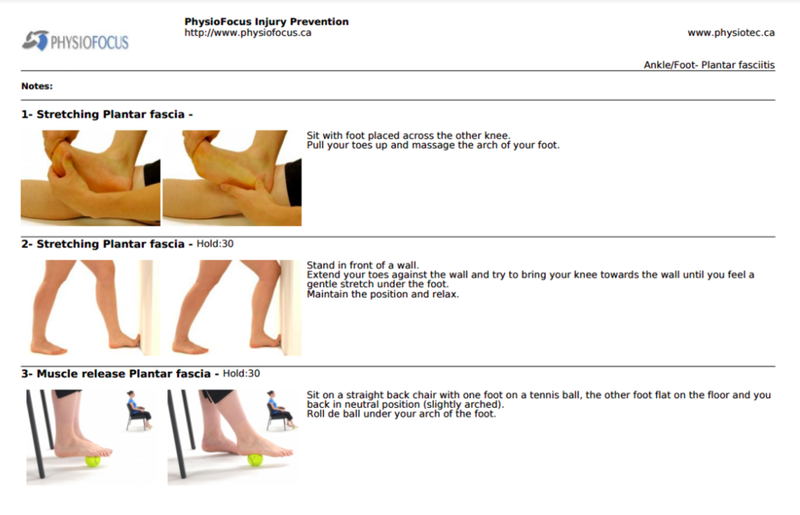 Here are some ideas on how to treat plantar fasciitis with exercise. If you need more help treating this problem please go to www.physiofocus to book an appointment.